S/Sgt. Thomas Grant Price, II, son of Mrs. R. C. Taylor and late E. E. Price. Entered AAC, 1942, trained in Salt Lake City, Utah, Las Vegas, N. M., Cal. and Tex. Served in England. Awarded Air Medal and Purple Heart, ETO Ribbon, GCM. Wounded in 1943. Died of wounds in 1943. 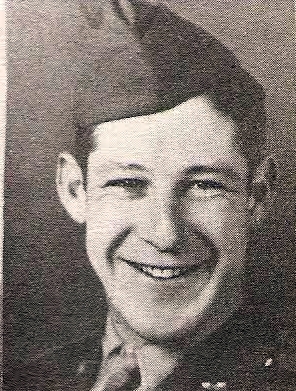 Family has this veteran's name as Thomas Grant Price, son of Elmer and Janie Price. "There was another Thomas Grant Price (1892-1975) an uncle to Thomas Grant "Little Grant" Price (1921-1943)." We thank them for this addition.